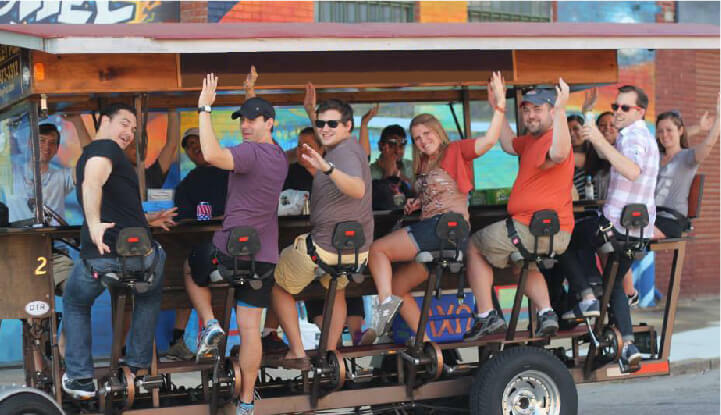 Pedal Saloon offers you a totally unique pedaling experience! Choose your location: Ann Arbor, Arlington, Houston, and soon, St Thomas. 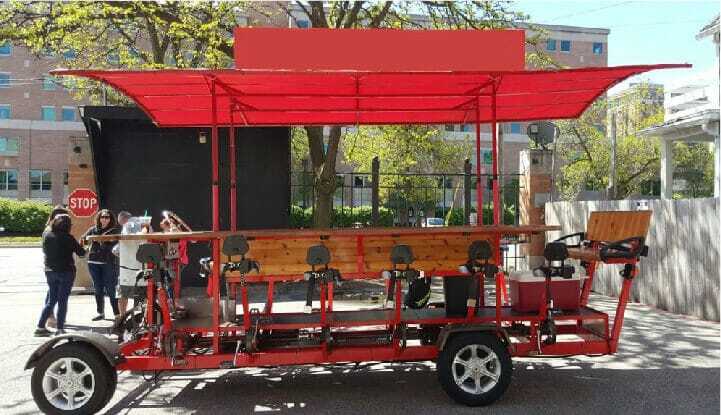 Explore your city on one of our Pedal Powered Bike Bars. Cruise to the best bars in the area and have a blast with family and friends! It’s the perfect activity to celebrate a birthday or bachelor/bachelorette party. 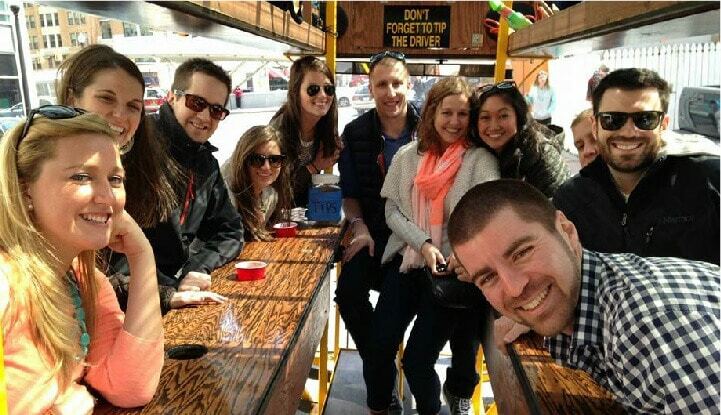 Or book a Mixer Tour to share a drink & the pedal bar with others and meet some new people! 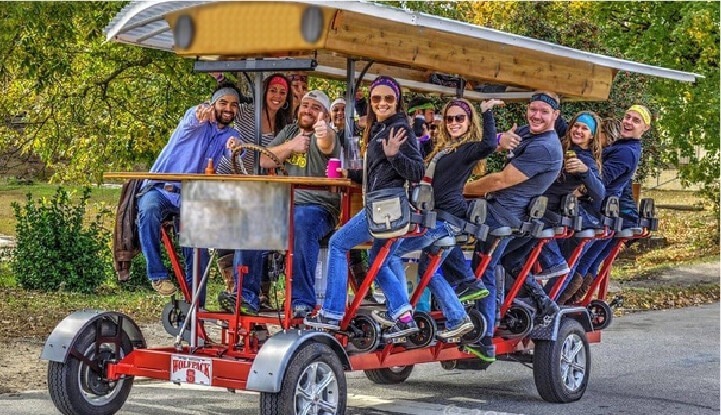 Hop aboard with Pedal Saloon and experience the revolution of bike bars! If you can get a bunch of friends who enjoy a little workout and bar scene, this is the perfect activity! I went for a birthday party and I had so much fun. Our driver was exceptional... I can't wait to go again my family loved it!!! 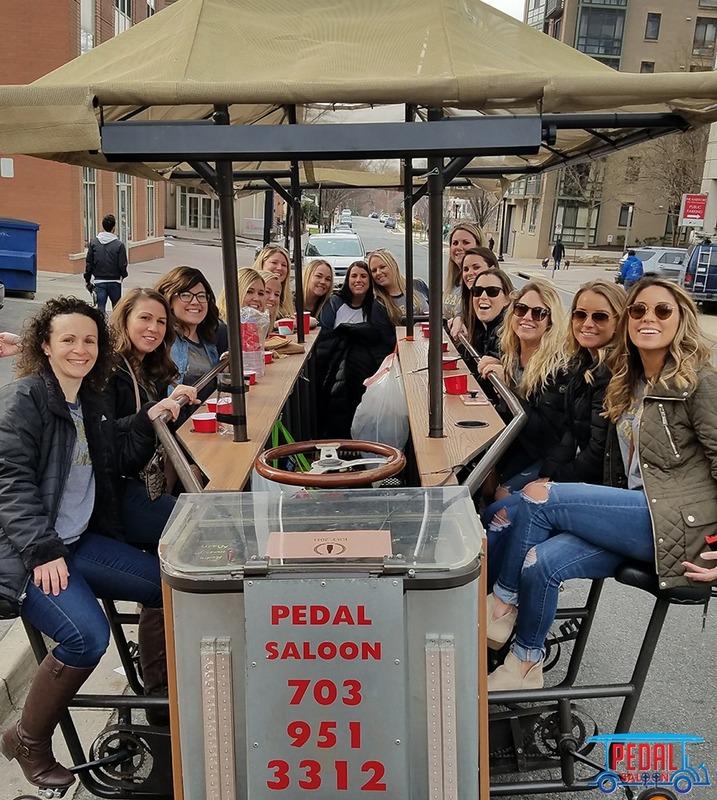 We’re passionate about creating the best possible experience for our pedalers, and we’ve got all the ingredients to make it happen! Our outgoing, fun guides with local knowledge of the best spots in town, plus awesome pedal-powered bikes make for a unique trip that can’t be missed! So what are you waiting for? Pick your city and hop aboard!